The pagoda stands on the flat land which is one mile far away from the north of the palace site. The pagoda was built by king Min Saw Oho in AD 1525. The pagoda was named Laungpwanpyauk according to the ominous saying. The pagoda is surrounded by the stone wall in two layers. There are stairways and entrances to the pagoda in the east and the west. There are glazed-multicoloured big flowers around the inner stone wall. Each big flower has one yellow pollen and four sepals. There are 166 big flowers and 240 small flowers around the stone wall. The pagoda is octagonal in shape. Every terrace has niche Buddha images inside the porches which are similar to the pediments of the throne. The eastern porch is a very beautiful stone sculpture. 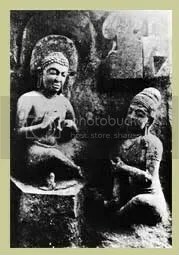 The Buddha image in the eastern proch, is Pudumoathti Buddha image. The pagoda is inclining towards the east because the burglars broke in the bell-shaped dome. 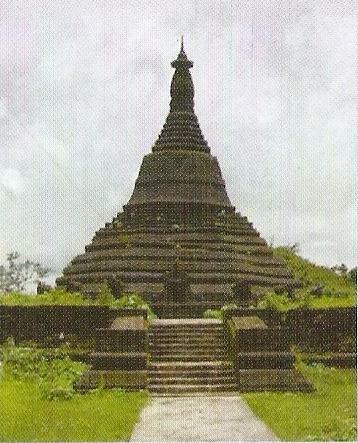 Nowadays, the pagoda was repaired by the department of archaeology and it is 75 feet high.